The inner part of the Port of Odense is changing. The heavy industries are gradually moving out whereas housing and liberal professions are moving in. A process already visible in the harbour environment, only to become more visible in the years to come. The plans for the new quarter are adopted by Odense Municipality and the City Council. 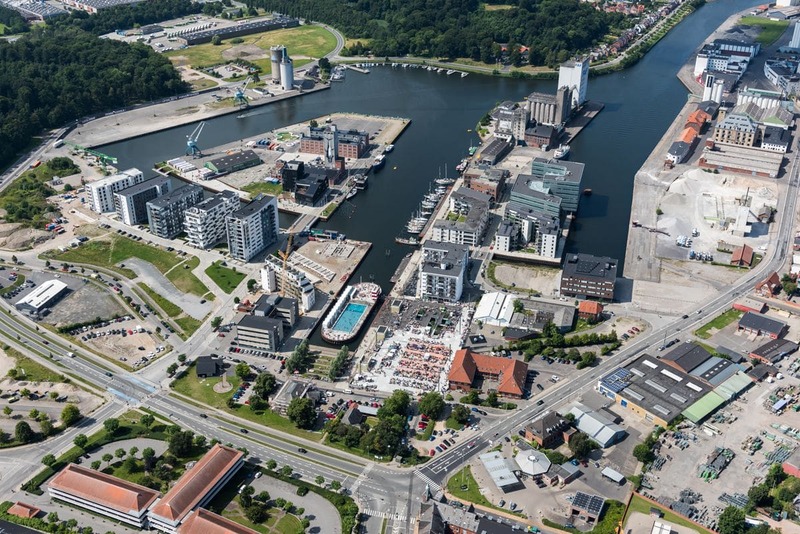 Also in the future, the Port of Odense will comprise commercial and industrial enterprises. To the north along the Canal, companies will still spread towards the north-eastern part of the area called Skibhuskvarteret, and this area will still allow setting up as an enterprise in production as well as servicing. The heavy industries from the harbour which still - despite the urban conversion - have the need for access to the quay, will gradually be offered space at Lindø where the two terminals North and South are already home to just under 100 enterprises, and as the completion of the harbour expansion progresses, there will be room for many more.